Ezra’s research aims at uncovering the underlying psychological, social and contextual factors that influence individual and collective environmental decision-making. He primarily uses methods and theory from the behavioral and communication sciences to reveal how individuals and communities make environmentally-relevant decisions, often in the face of conflicting priorities and significant tradeoffs. Ezra is currently an assistant professor in the Department of Environmental Conservation at the University of Massachusetts Amherst. 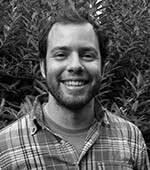 Prior to joining the UMass faculty, Ezra was an Earth Institute Fellow in CRED at Columbia University and a Postdoctoral Research Associate at Princeton University. He received his PhD in Environmental Sciences, Studies and Policy in 2012 from the University of Oregon.